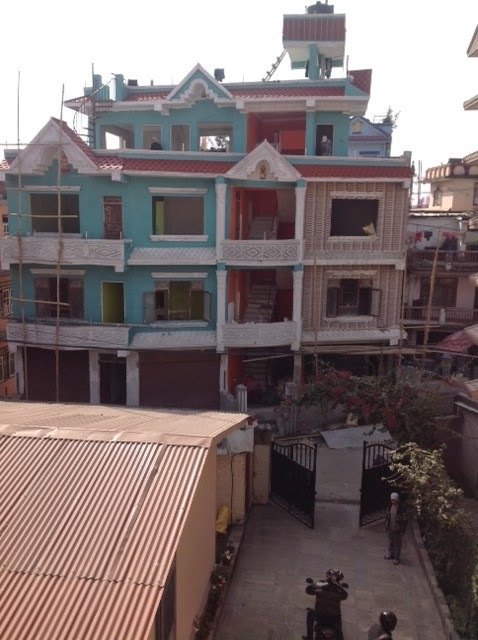 Educate Nepal Mission Teams: Sunday, 25th January, Reunion, sponsor letters and weddings. Sunday, 25th January, Reunion, sponsor letters and weddings. While visiting one of the hostels, I was so pleased to see a little family reunion. Mum in the middle, with three daughters and one niece (in the floral pants). 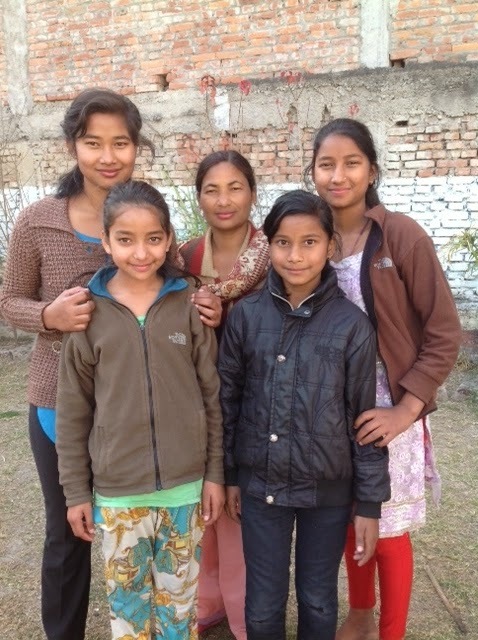 We were there out in the village when these girls were rescued from extremely poor conditions. The mother had pleaded for help. She has been away working, but was so glad to see her girls looking so well. They are a very handsome group. The oldest girl will be on the Freedom Tour starting in June in Australia. 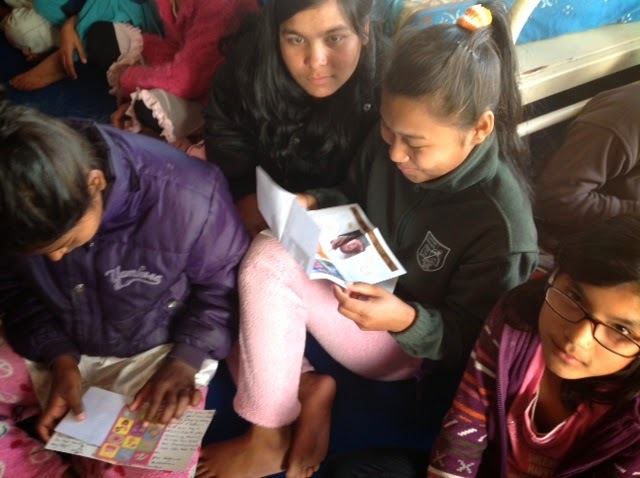 Girls delighted at their sponsor letters delivered to them yesterday. Everyone crowds around trying to get a look at the pictures of the sponsors and their families. 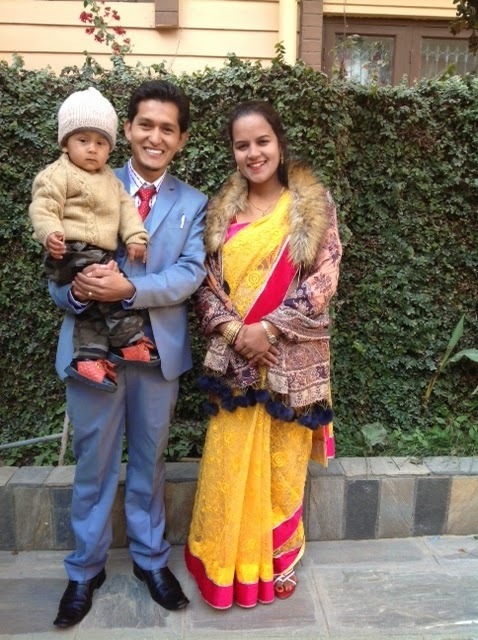 Our lovely young manager at the guesthouse with his pretty wife and little son Nelson (after Mandella). They were off to a family wedding today in all their finery. He was meeting some of the in-laws for the first time, and was a little apprehensive.